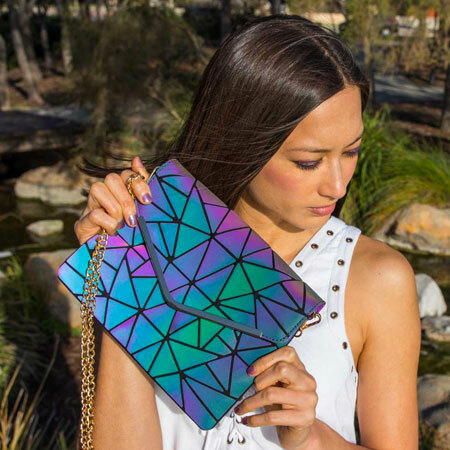 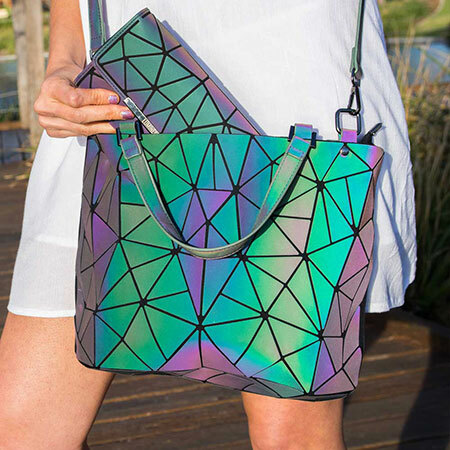 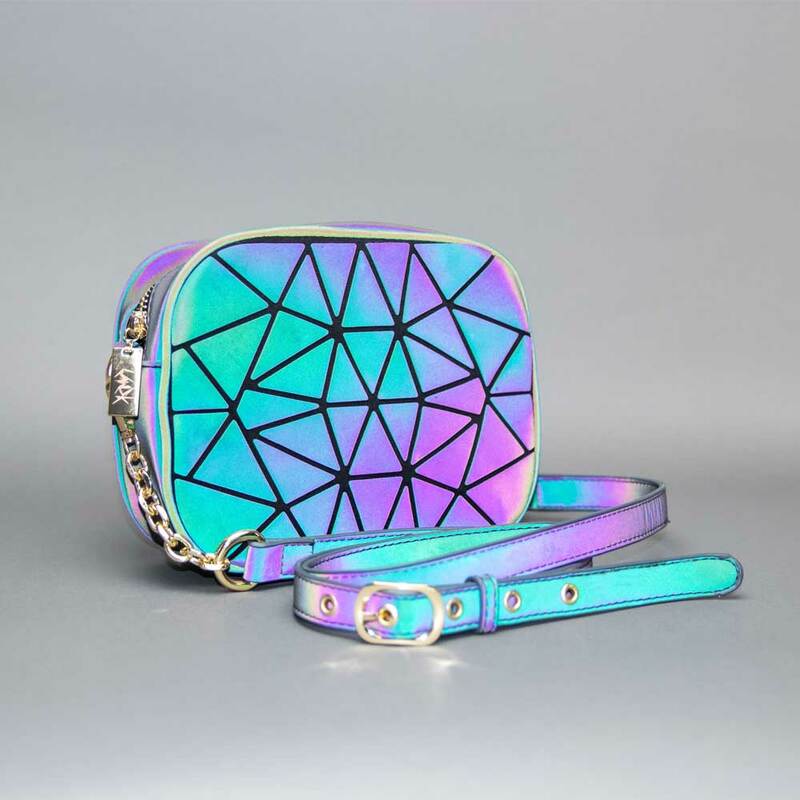 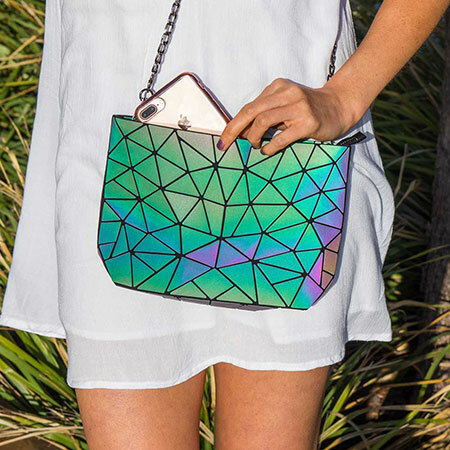 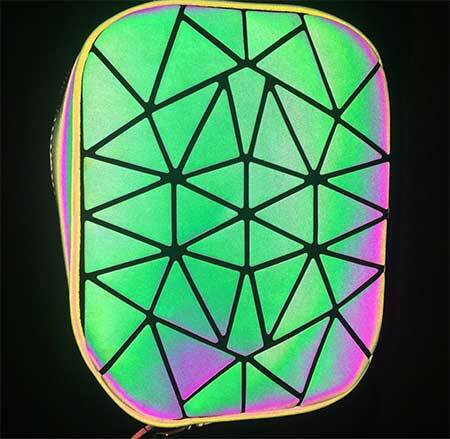 Luminesk Star Holographic Box Bag - This bag does what? 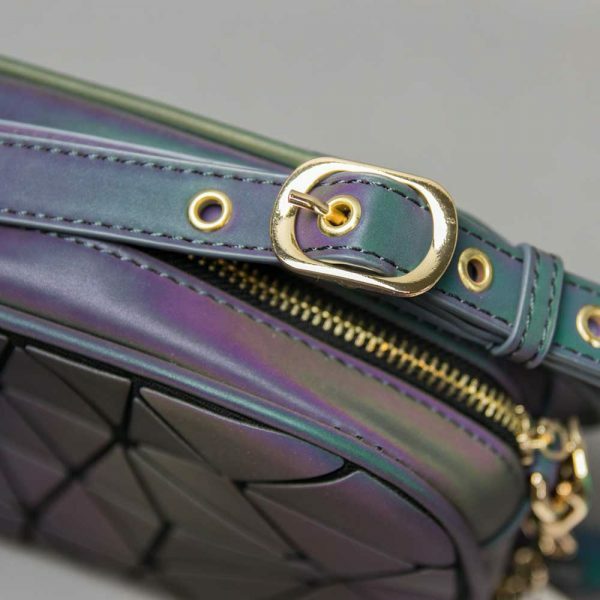 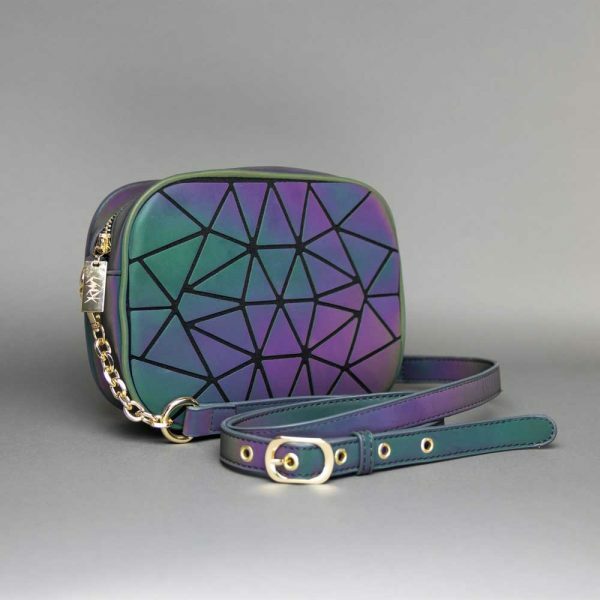 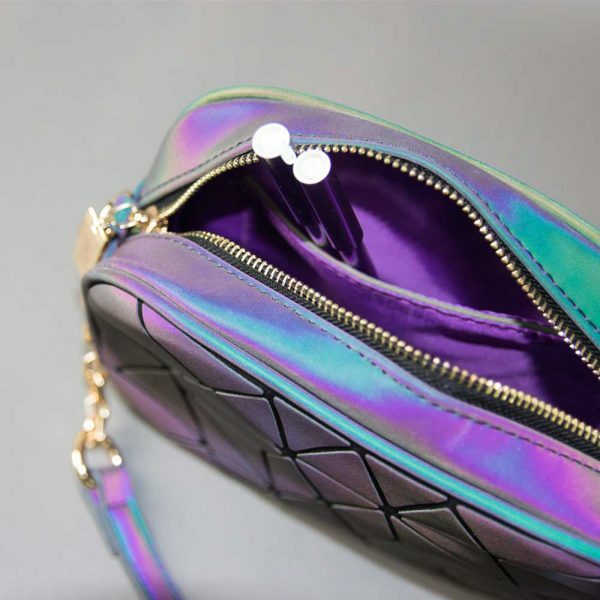 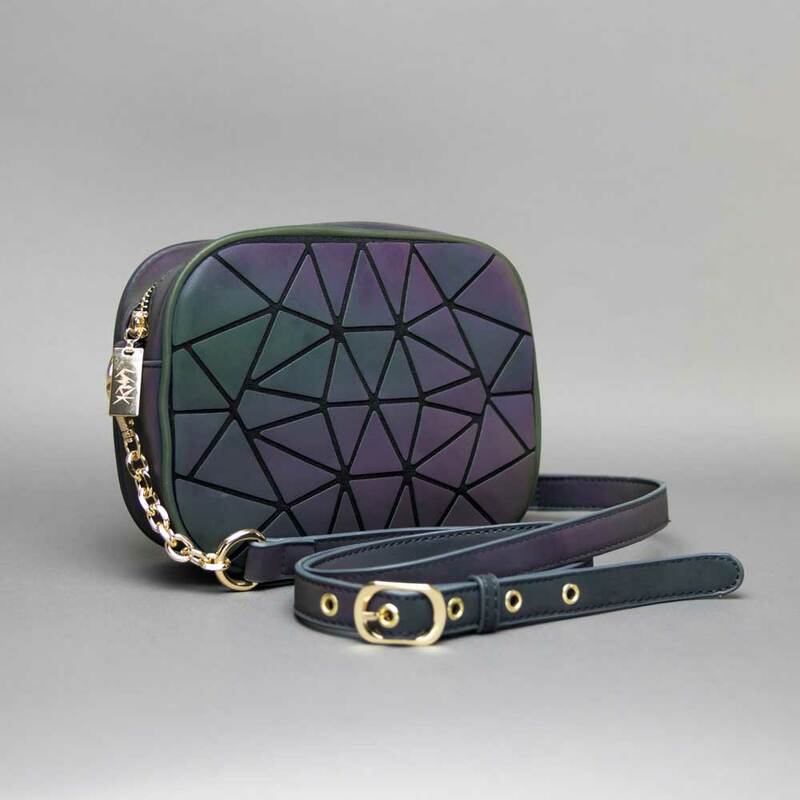 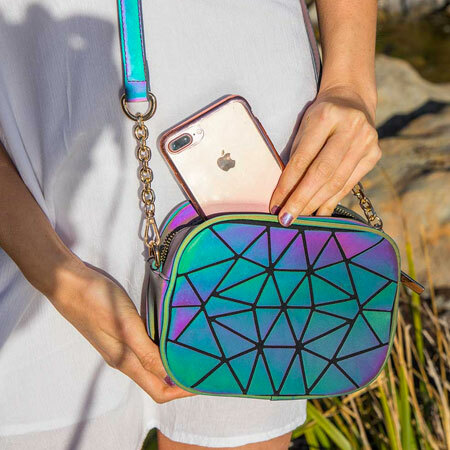 A cute compact and light weight handbag that you can take from day to night, reflecting a colorful, vibrant rainbow hue everywhere you go. 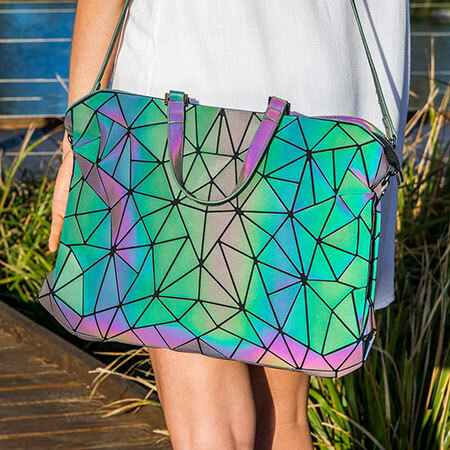 Step out into the world and shine! 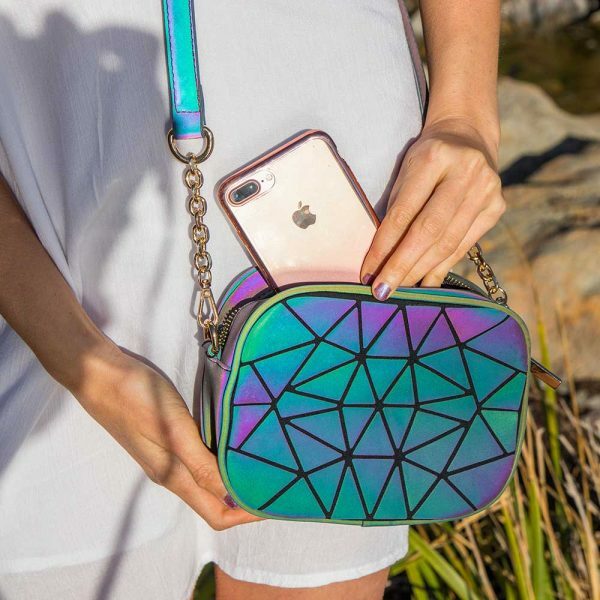 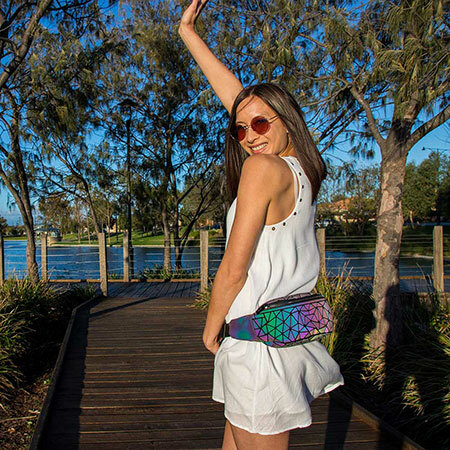 If you’re looking for a bag that is super comfortable, lightweight and just big enough to fit your essentials whilst on a holiday, or a long day shopping then this is your bag! 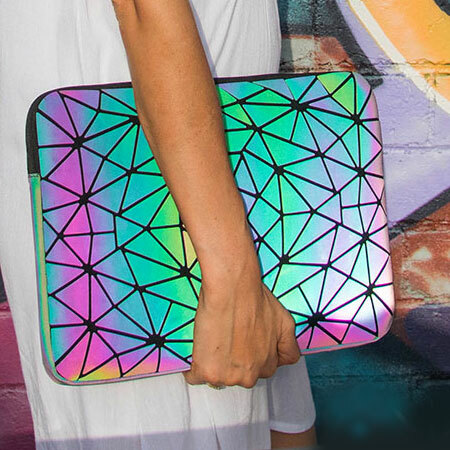 You’ll be able to spread your love for color anywhere you go. 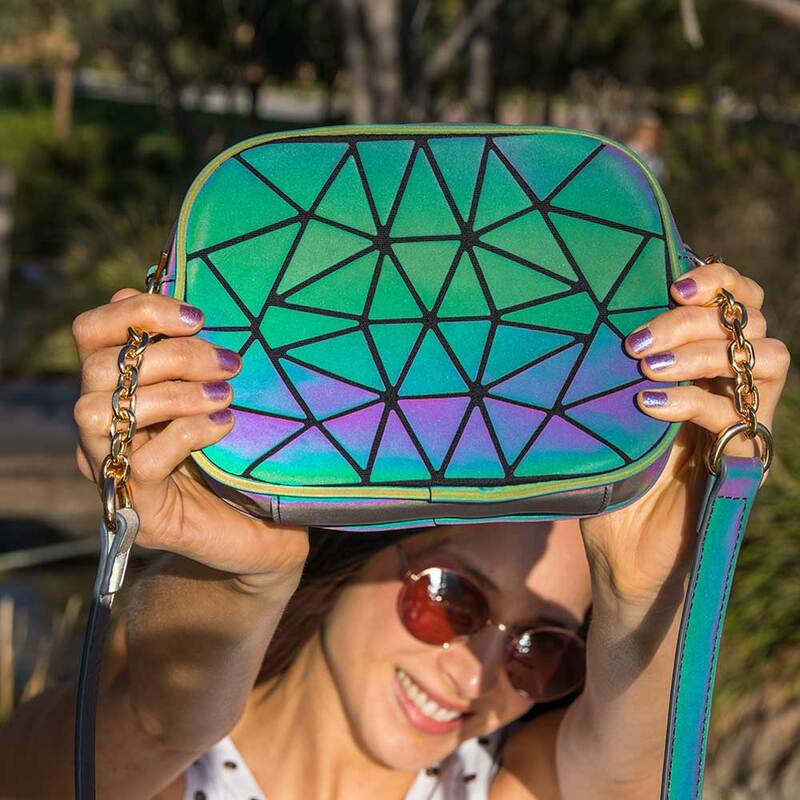 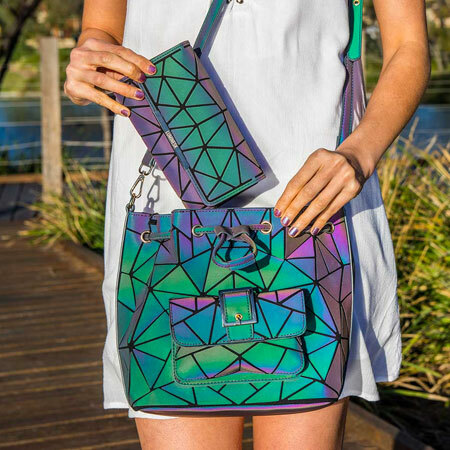 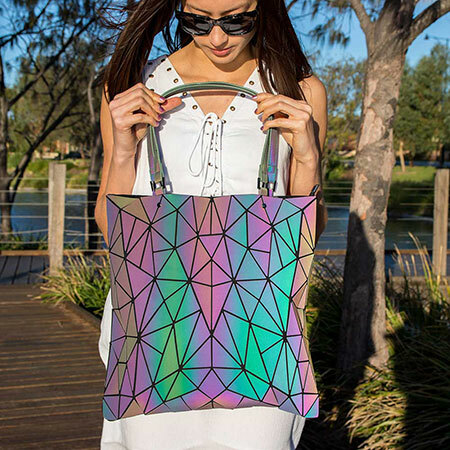 Reflect light and color into the world with your Luminesk Star Box Bag and it’s unique geometric shard pattern. 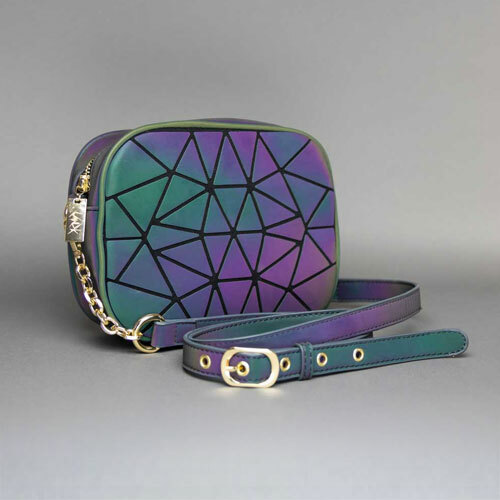 Adjustable Shoulder Strap Height (from shoulder to bag) aprox. 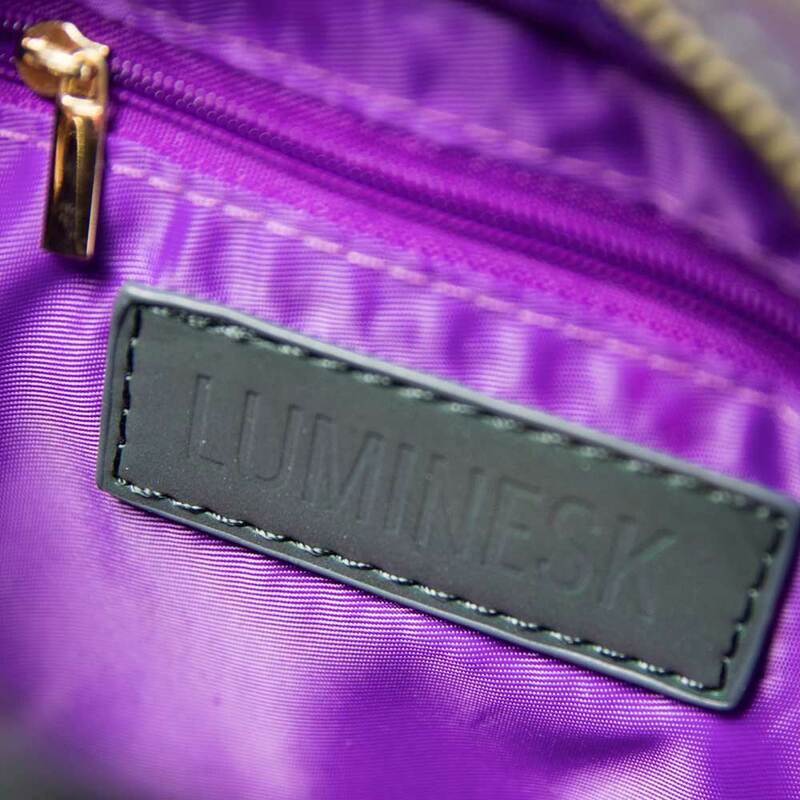 25.78-28.24"
Check out all of our recent Luminesk reviews from all our crazy colored bag lovers! 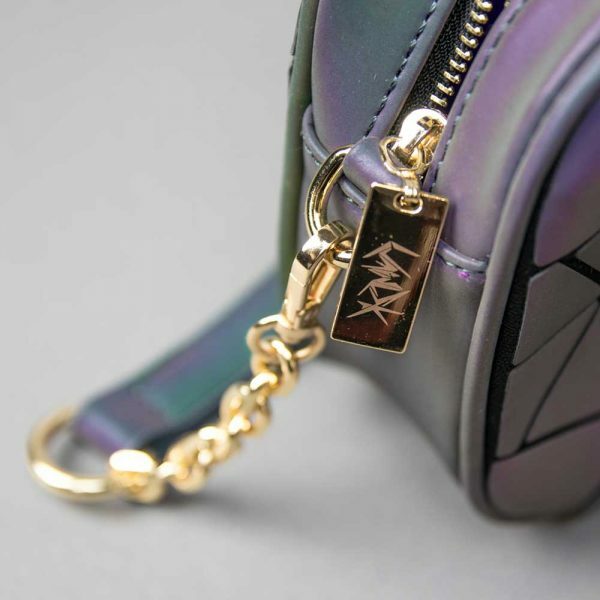 I have the handbag and the wallet as well as the chain purse. I mostly use a small handbag, especially in the evenings, and this bag was not only the perfect size but I always get a kick out of showing it off. 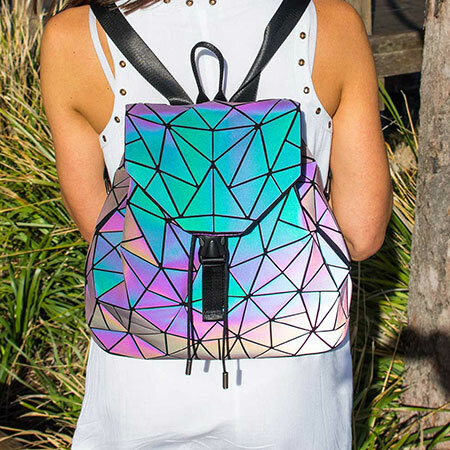 Definitely recommended.